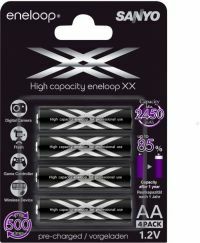 These batteries have a capacity of 2000 mAh so that they perform efficiently in high drain devices like Digital Cameras,Wireless Devices,Torch Lights etc. 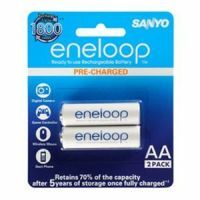 These retain their 70% charge up to 5 Years once fully charged. To Recieve updates and possible rewards for Panasonic HR-4UTGB please sign in. To Recieve updates and possible rewards for Rechargeable Battery please sign in.